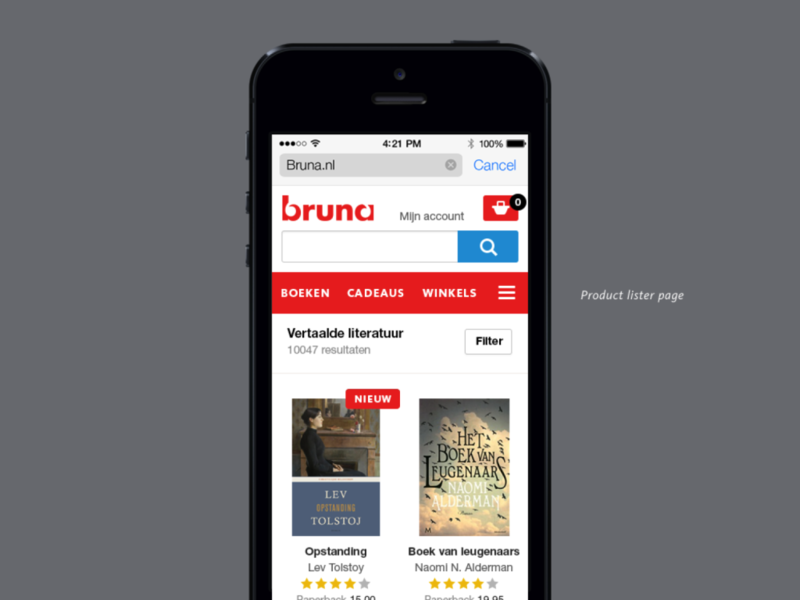 With colleagues at Osudio redesigned the new e-commerce solution for Bruna. 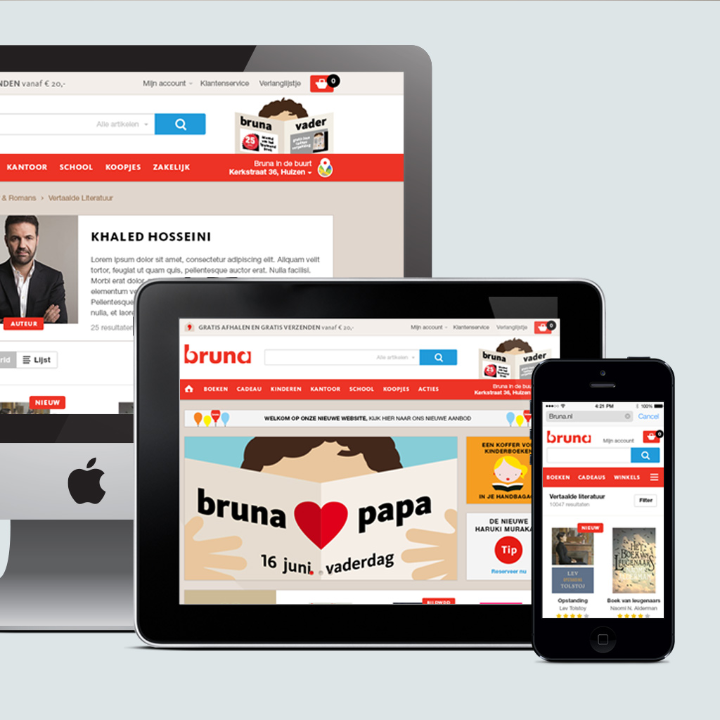 Bruna is a well-known Dutch retailer owned by PostNL and the ING Group. 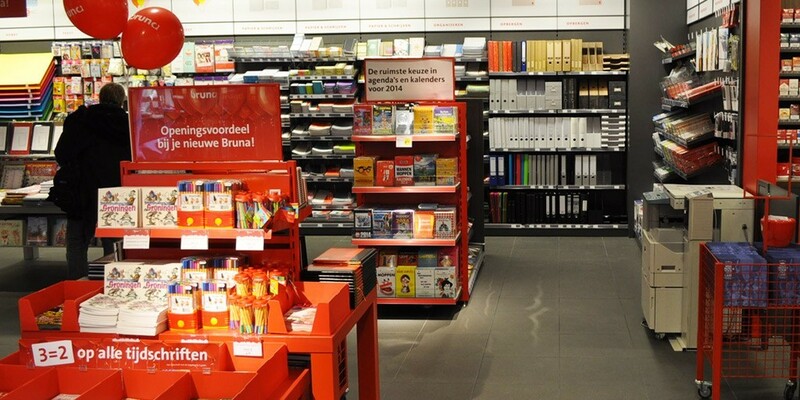 They sell books, cards and office supplies in their 450 stores. Several stores have an in-house post office and bank. 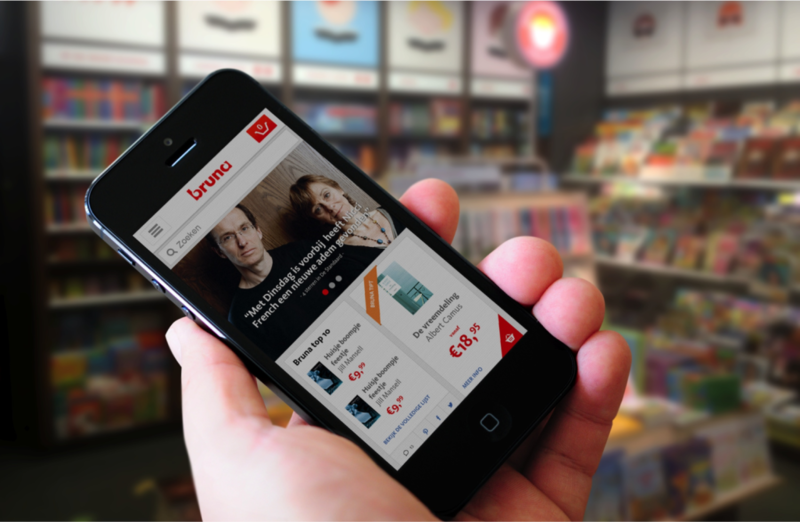 Bruna needed a flexible, scalable and future-proof omni-channel solution. 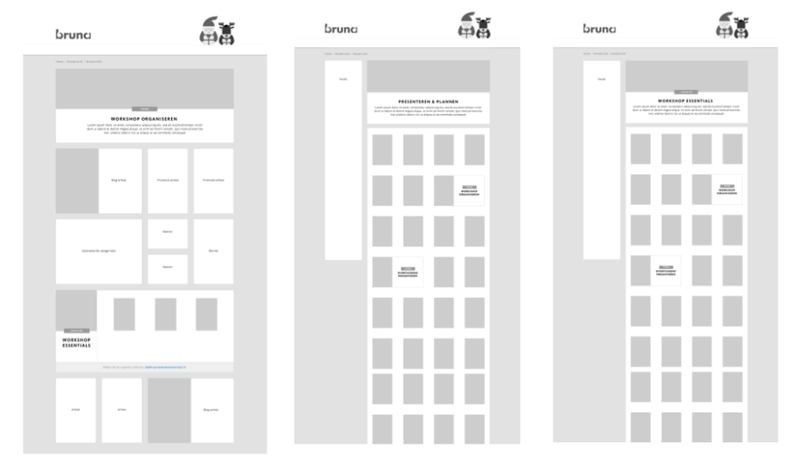 Bruna wanted their in-house marketing people to be able to run their own campaigns, A/B testing and bannering, while being independent of a system integrator. 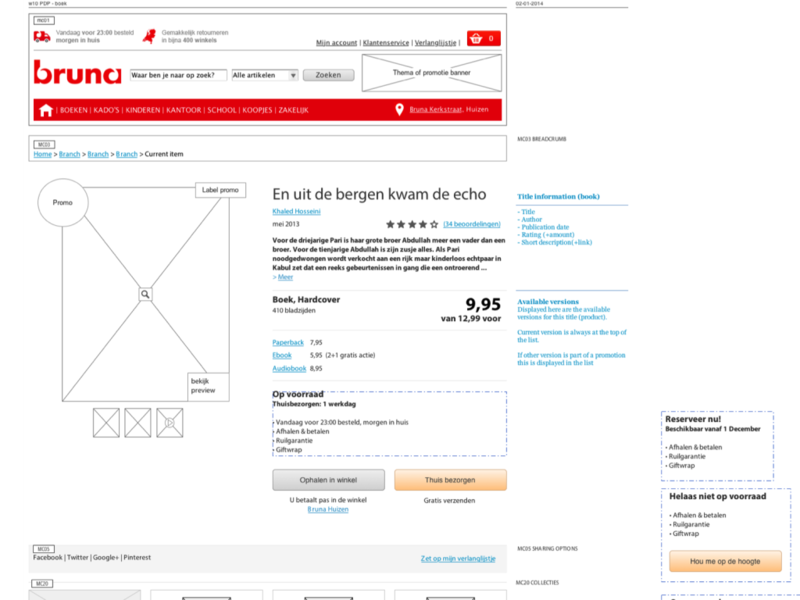 UX: start with the Product detail page never the homepage.